Your new address is a marvelous, two-storey, timber-frame building, conceived from the outset to blend in with local residential housing styles. You gain the most up-to-date features, in a traditional design, which provides both harmony and scale. The colour-coordinated interior is aesthetically pleasing and adds to a warm, secure environment. You enjoy the advantages of a care facility with a high-level personal care philosophy, skilled nursing staff, a home-style environment, and an eye to safety, security and comfort. Whether your needs are modest or extensive, we can meet them. We have government-funded as well as private pay rooms. Residential Groups are small self-contained neighbourhoods. Each neighbourhood is made up of a suite of bedrooms with a central lounge and dining area. 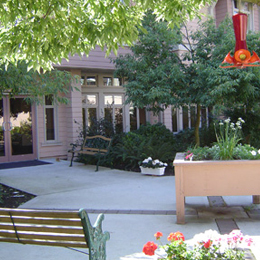 Fleetwood Place applies principles of the Eden Alternative, Gentle Care, Person-Centered Care and the facility’s Core Values. Yours is a meaningful life that you can continue to live with dignity even though you can no longer live independently. At Fleetwood, we honour and respect your wisdom, and care for you as you become one of our family. Your personal independence and physical, mental, social and spiritual health are maximized when you, your family, your substitute health care decision maker, your health care provider and the community assume some of the responsibility for your care as required and as directed by you. The facility has been fully accredited by Accreditation Canada since 2004. Accreditation Canada is a non-profit, non-government organization that helps health services organizations across Canada examine and improve the quality of care and services they provide to their clients. 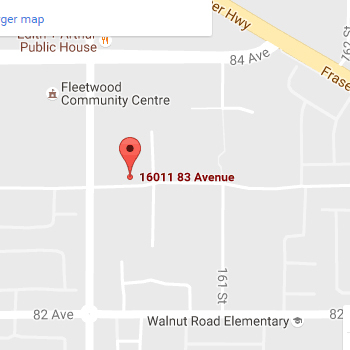 The facility is fully licensed by the Fraser Health Authority to provide complex care. 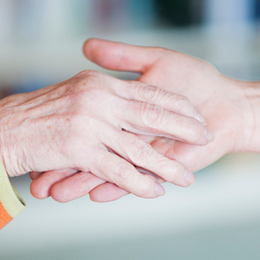 Complex care allows residents to remain in the same facility as they age and as they require more care. in beautiful Surrey, British Columbia. Many, many thanks for your patience and kindness towards Mom and all of us. We are so happy that she is in such good hands. We appreciate you all.